There are numerous stories calling attention to the “skilled installer crisis” and the lack of training, installers and dependability in floor covering and the construction trades. With continued industry outcry, there is no better time than right now for INSTALL training and certification to be a part of the solution. 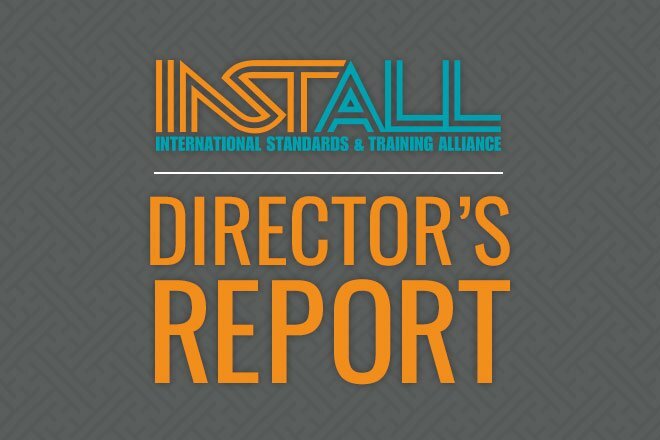 For decades, INSTALL has had the answer to the “skilled installer crisis” and now, more than ever has the opportunity to impact the industry. It is puzzling to hear the many laments about a crisis when the answers have been available within INSTALL for decades. I recently witnessed the disconnect between the “skilled labor crisis” and an INSTALL apprenticeship program firsthand. In early August, I witnessed first-hand the volume of people waiting in line for the apprenticeship application in New York City. Hundreds of apprenticeship candidates took their places in line up to a week before the application date and camped out on the sidewalk to secure a spot on the roster. While camping out to join the apprenticeship may be unique, hundreds and hundreds of new applicants line up every year to become an apprentice. INSTALL training and certification is available across the USA and Canada. Our apprenticeship programs are an integral part of the solution to the skilled installer crisis. The Carpenters Union, Contractors Association and the labor and management committees within INSTALL work together to offer a profession with fair pay and benefits. To provide value to the industry, our apprenticeships deliver the best skilled installers who are trained with a combination of theory, practical and jobsite training that is followed by career-long requirements and skill-set certifications. Despite frequent headlines broadcasting the skilled installer crisis, we know that INSTALL training and curriculum is the solution. INSTALL’s mission to train and certify the floor covering workforce benefits our members and the industry as a whole. At INSTALL we are working together to deliver work we can all take pride in.